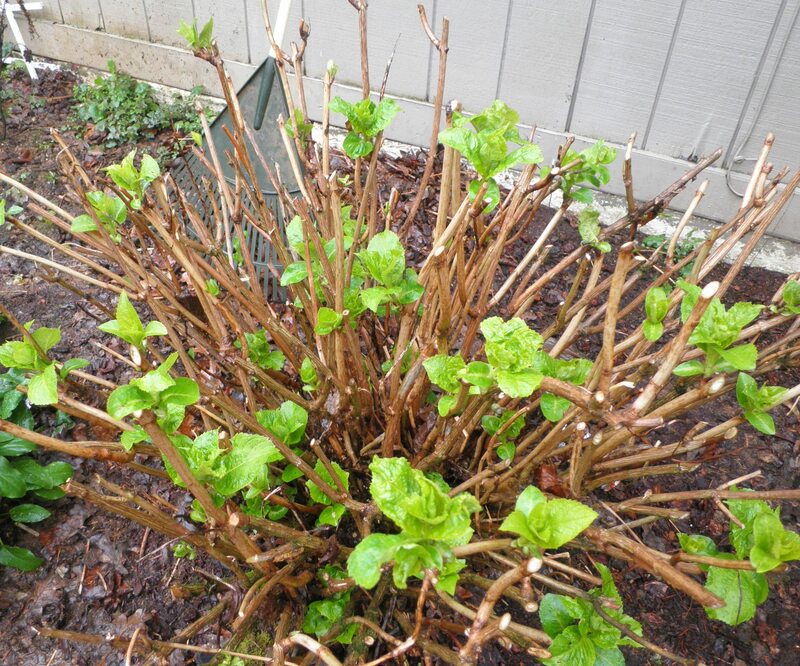 I pruned back the hydrangeas a couple of weeks ago. It was a little early, maybe. And I’m no expert gardener. Just a reluctant beginner. Several how-to articles were read. My husband did it last year and they survived. So how hard could it be? Fortunately, this one is doing great. But then, it was the healthiest one to begin with. … it looks sad. It’s misshapen. The branches are gnarled and wrapped around each other. It was hard to prune evenly. It looks dead in the middle. I didn’t have the heart to cut it any further, so it gets a reprieve for one more growing season. It seems a little mean to whack it down just because it had been ignored for so long. It deserves a shot. 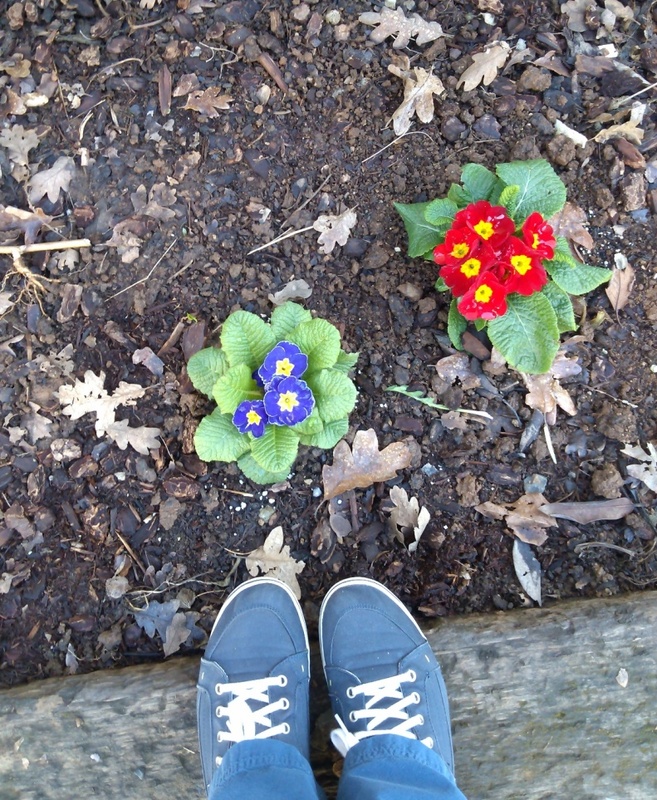 Then I planted a few little color spots… just to brighten up the place until the big plants leaf out and bloom. They give me something pretty to look at while I breathe fresh air… while I gather my courage… while I contemplate the ruthless pruning to my soul. Because long before I got to this place I did, after all, ask the master gardener to do just that. So I can’t complain. One of my favorite verses, Luke 13:6-9. Won’t write the whole thing here, but look it up. 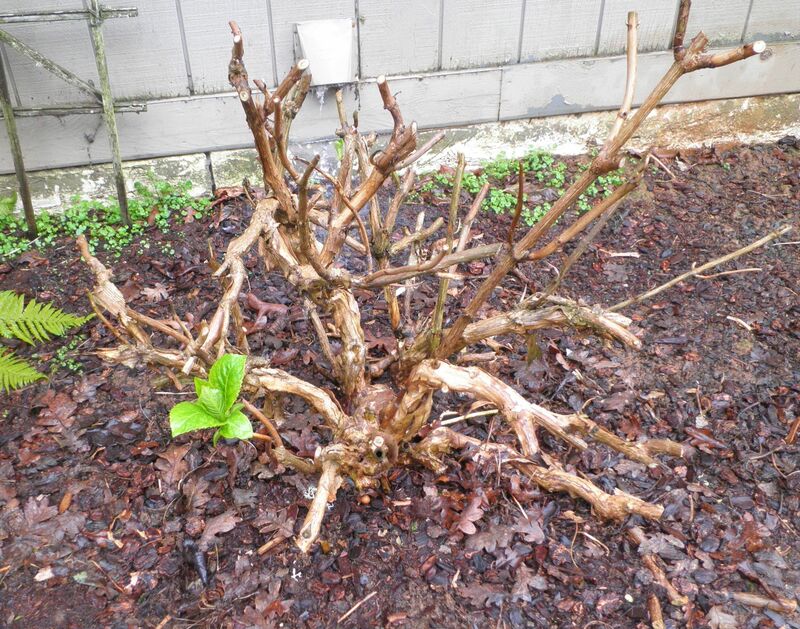 “…[wait] until I dig around it and put on manure”…give it another chance while the gardener cares for it. Love that thought! He gives us many, many chances, doesn’t He. So, fertilize the plant, be sure it gets lots of water, talk sweet to it (I know, I know, but it does seem to help 🙂 ). Yes, it does deserve a shot at another chance to bloom. Good thoughts! Oh! I like that scripture. For some reason it never jumped out at me before. Very cool. It is speaking to me on many levels 🙂 Thanks, Maureen. Way to go gardener. Feels good to be outside and working in the soil. I like Maureen’s reference… I usually think only of the vine and branches reference, but healthy growth in our lives really does require pruning and nurture.